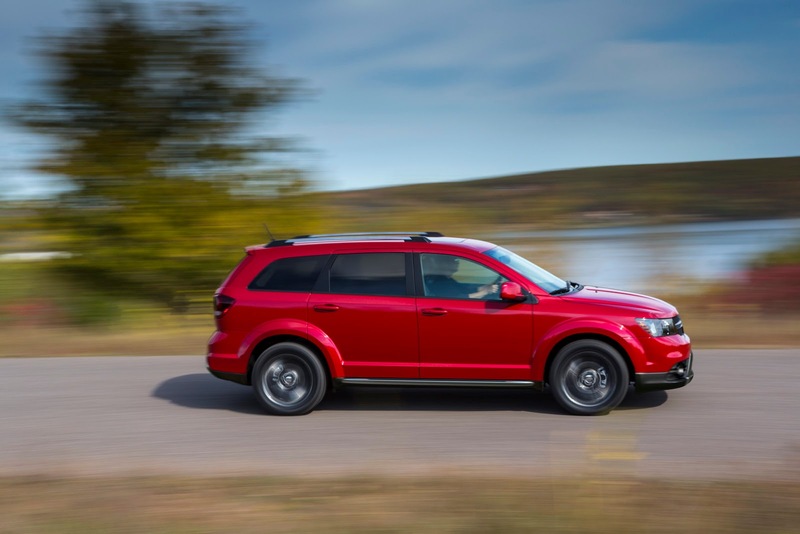 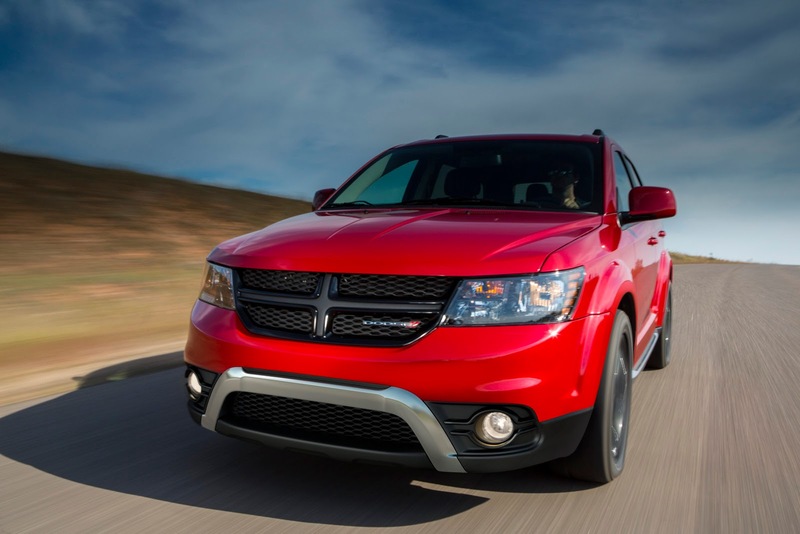 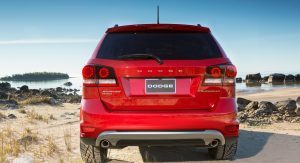 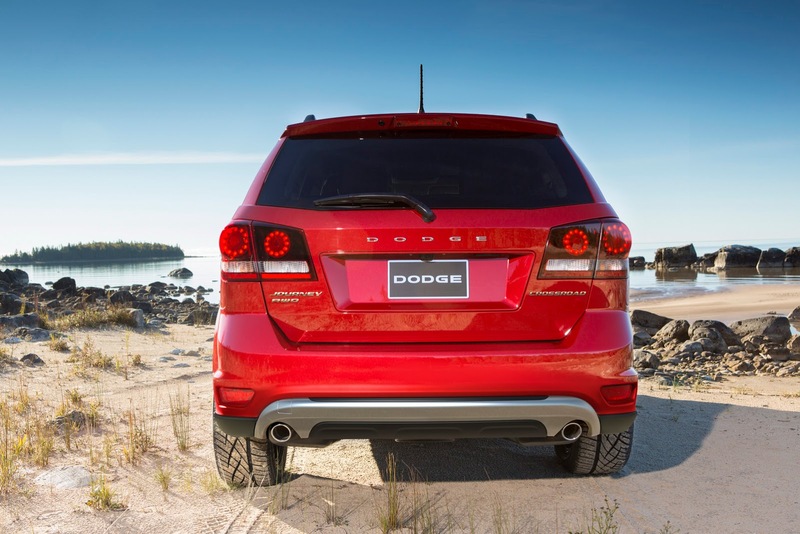 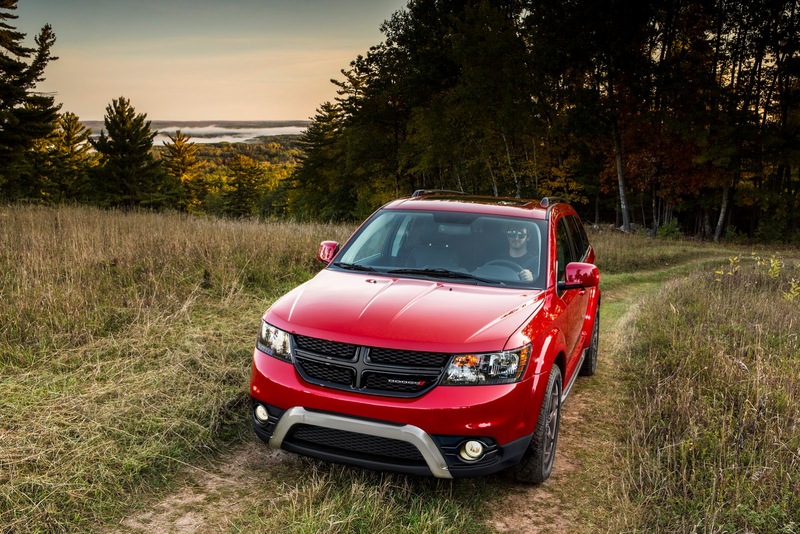 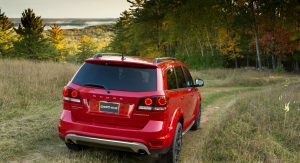 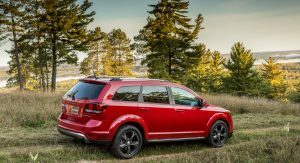 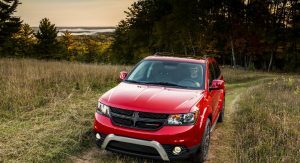 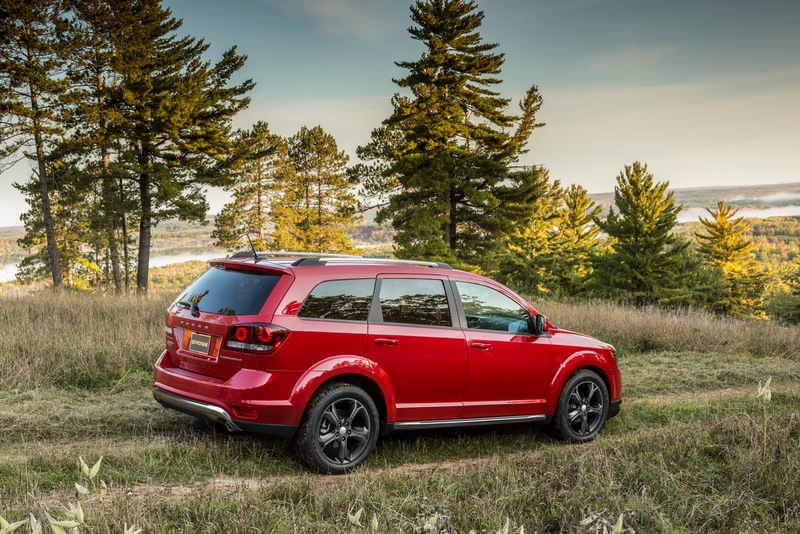 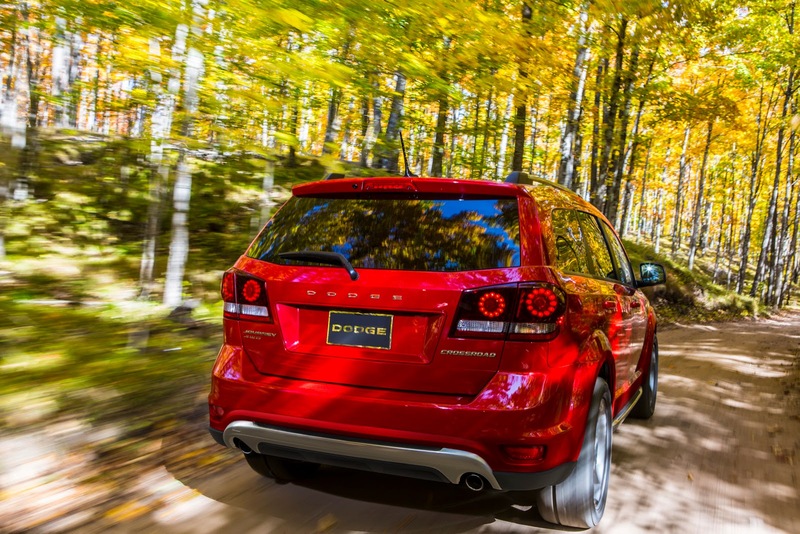 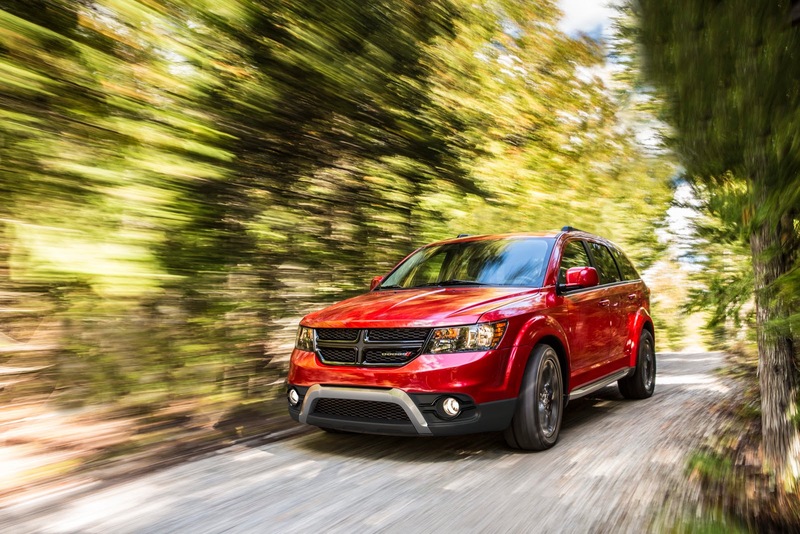 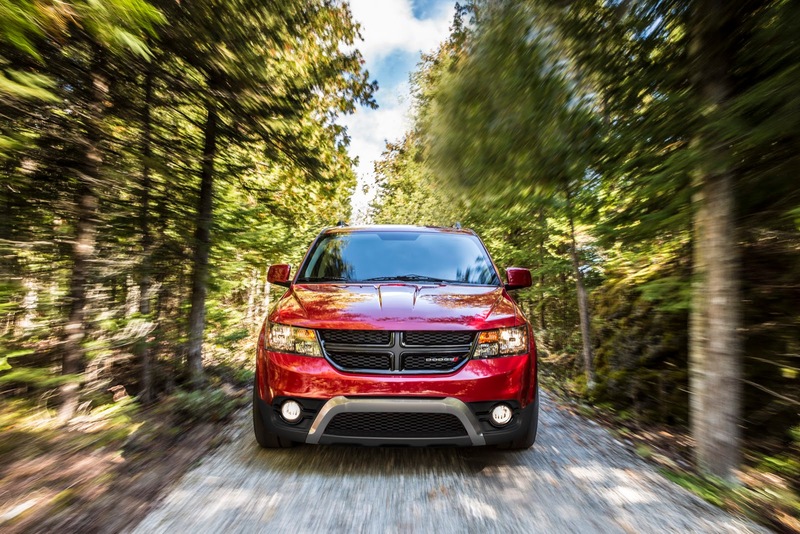 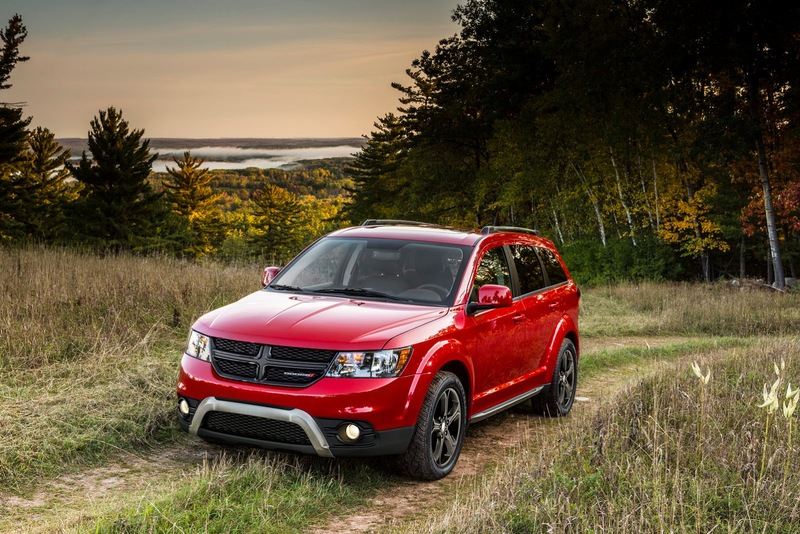 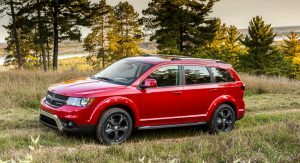 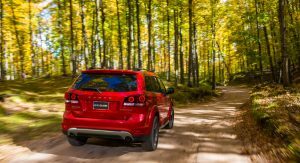 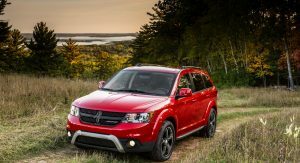 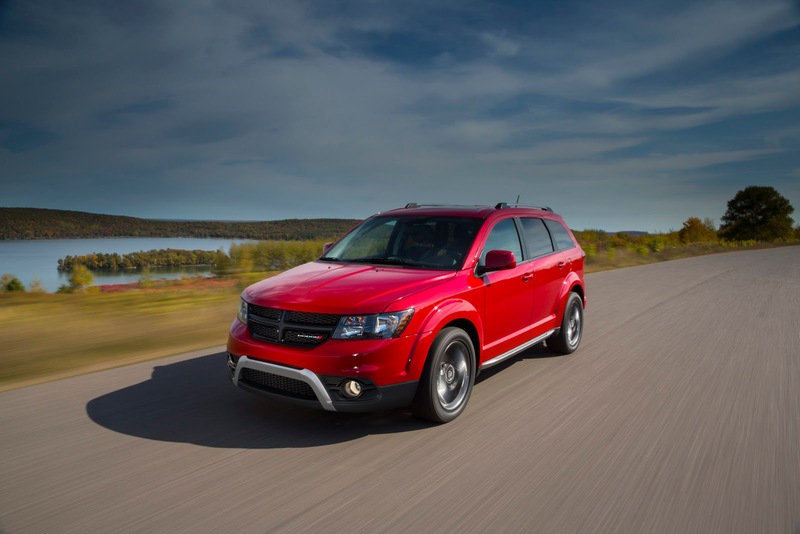 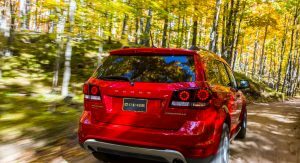 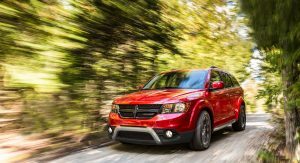 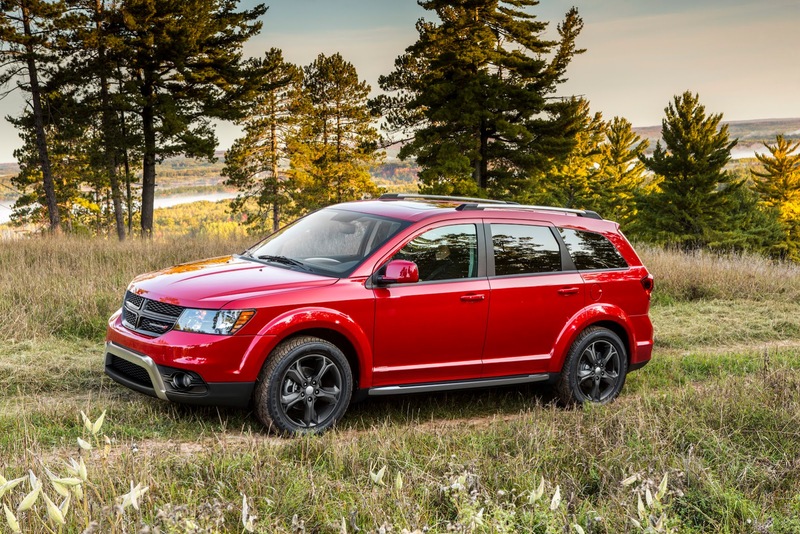 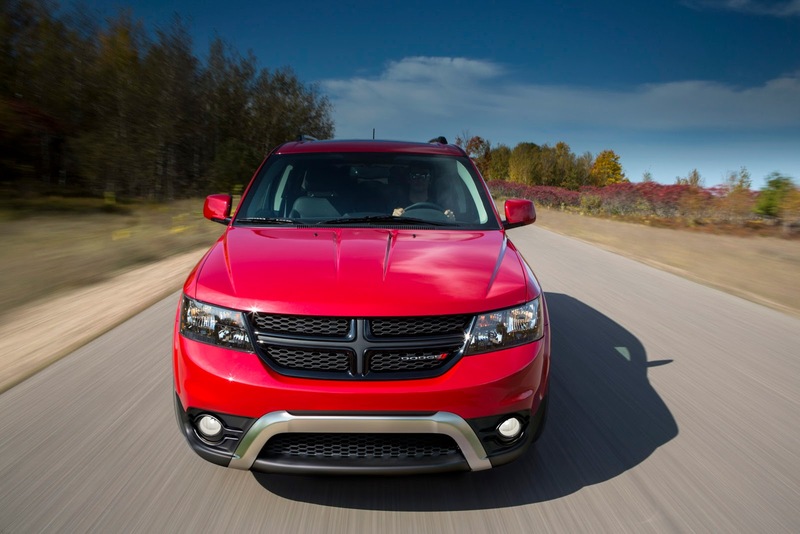 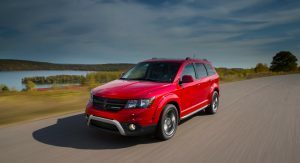 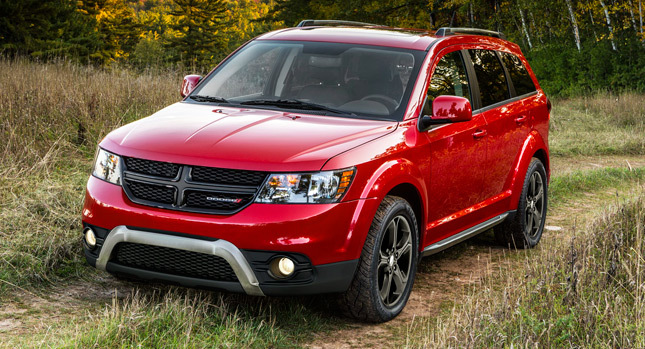 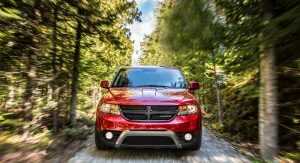 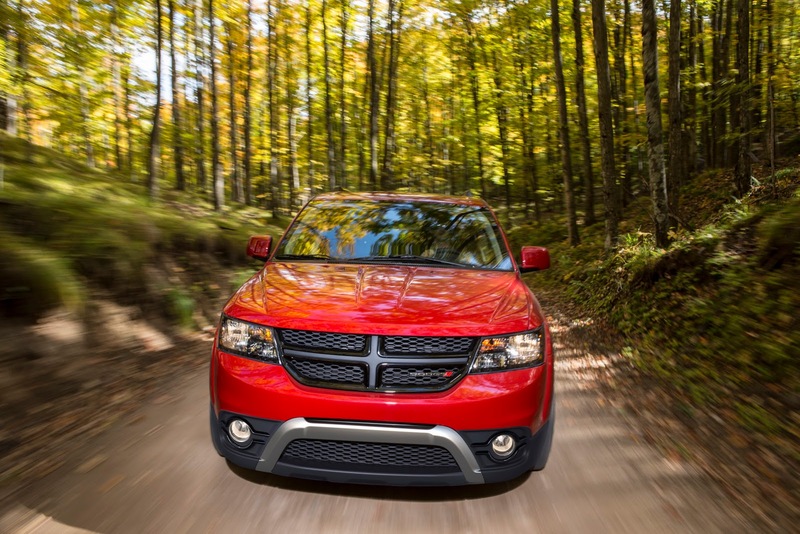 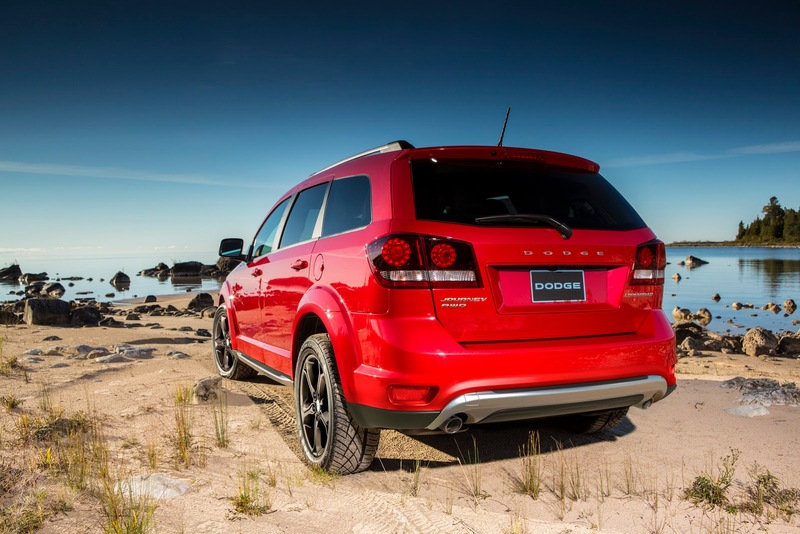 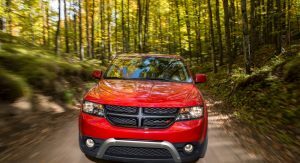 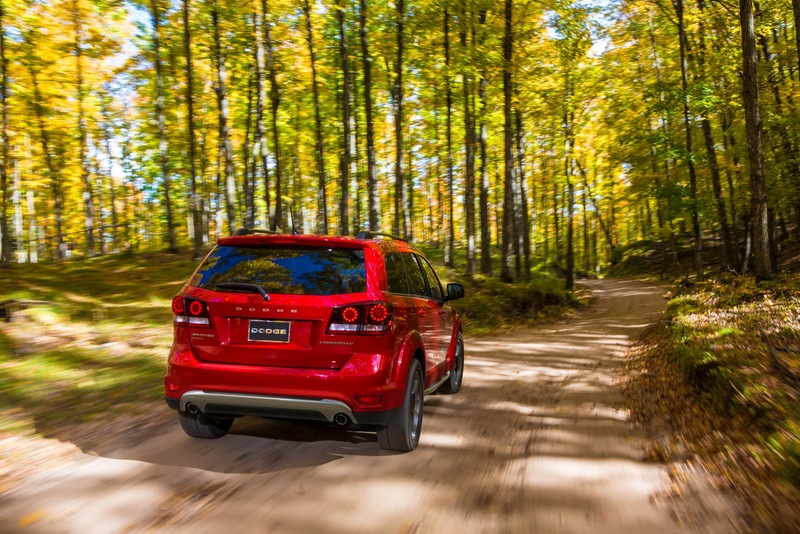 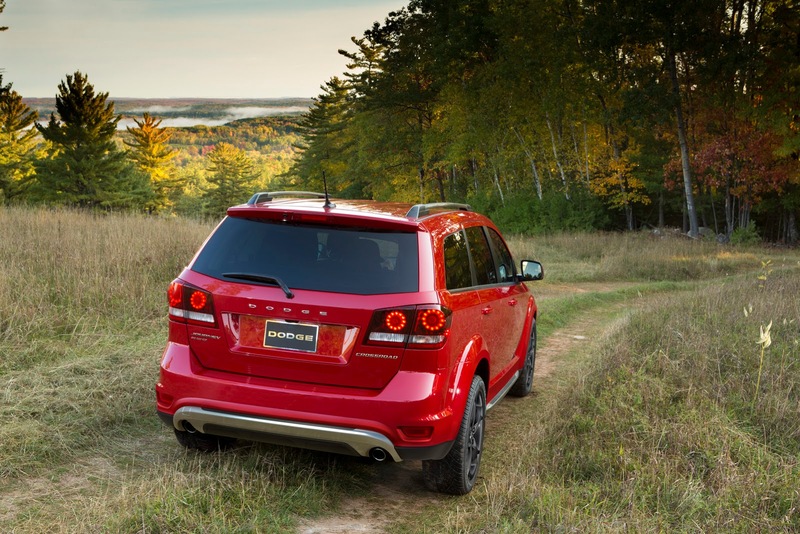 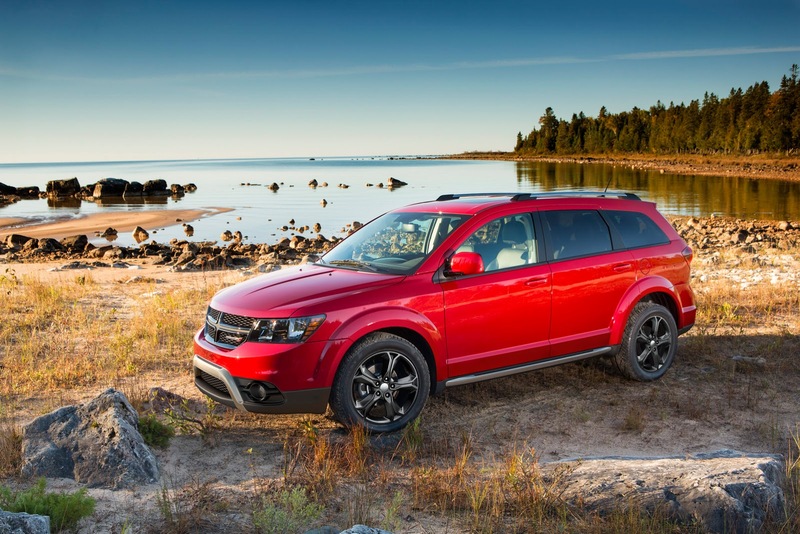 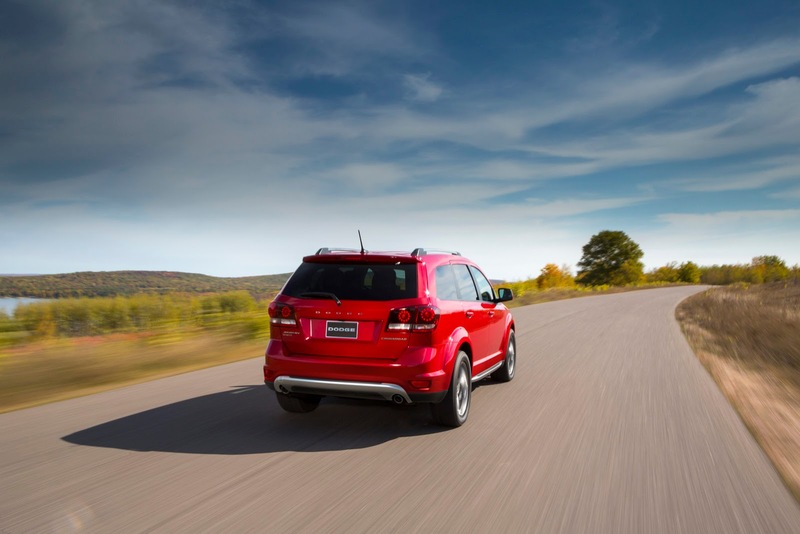 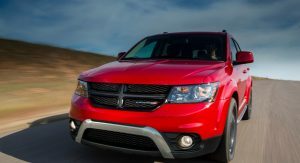 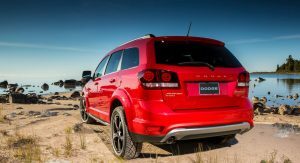 This is the new 2014 Dodge Journey Crossroad, revealed today ahead of its covers-off moment at next week’s Chicago Auto Show. 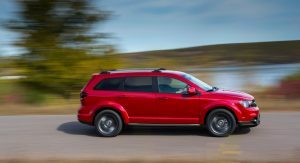 The latest addition to the Journey’s range is an SUV-inspired edition of the mid-size crossover model with a more rugged appearance on the exterior and added content on the inside. 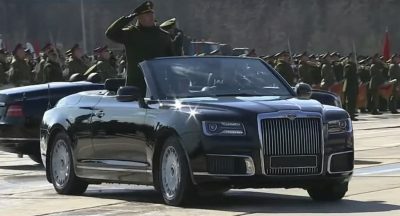 From the outside, the Crossroad can be identified by the new gloss black front grille and fog lamp surrounds, the Platinum Chrome roof rails, unique extended side sills and front and rear bumper accents, black headlamp bezels, smoked tail lamps and bespoke 19-inch ‘Hyper Black’ alloys. 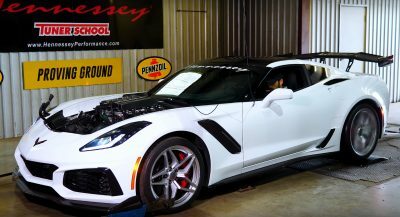 Buyers will be able to choose from the following exterior paint finishes: Pitch Black, Bright Silver Metallic, White, Copperhead Pearl, Fathom Blue Pearl, Granite Crystal Metallic, Pearl White Tri-Coat and Redline Red 2-coat Pearl. 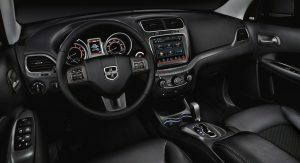 As for the interior, Dodge says it added a host of special touches, including black leather seating with sport mesh inserts with Light Slate Grey accent stitching that also appears on the center armrest and door panels, plus leather steering wheel and shift knob. 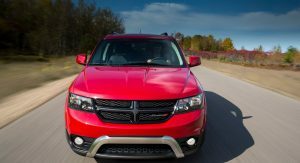 In addition, Liquid Graphite finish is applied on the instrument panel, gauge cluster, center console, door pulls and steering wheel trim, while Dodge added an 8.4-inch Uconnect touchscreen, power front seat and a front passenger fold-flat seat with hidden storage bin under the seat cushion as standard. 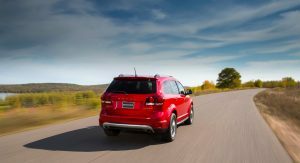 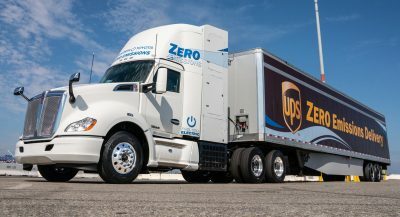 The Crossroad can be had with the standard 173 horsepower and 166 lb.-ft. 2.4-liter four-cylinder unit paired to a…four-speed automatic (yes, they still make those) and delivering 26mpg on the highway, or a 283hp 3.6-liter V6 hooked up to a six-speed automatic transmission, with this version returning up to 25mpg hwy.